Discussion in 'Regional Forums' started by Cuttle, Oct 24, 2016. $99 + $16 for late registrations after April 19th. Sorry no one-day-passes (too hard to control) and no refunds. If you are not able to come, you are more than welcome to sell your spot. Sign up starts December 1st at 8pm. First come first serve. 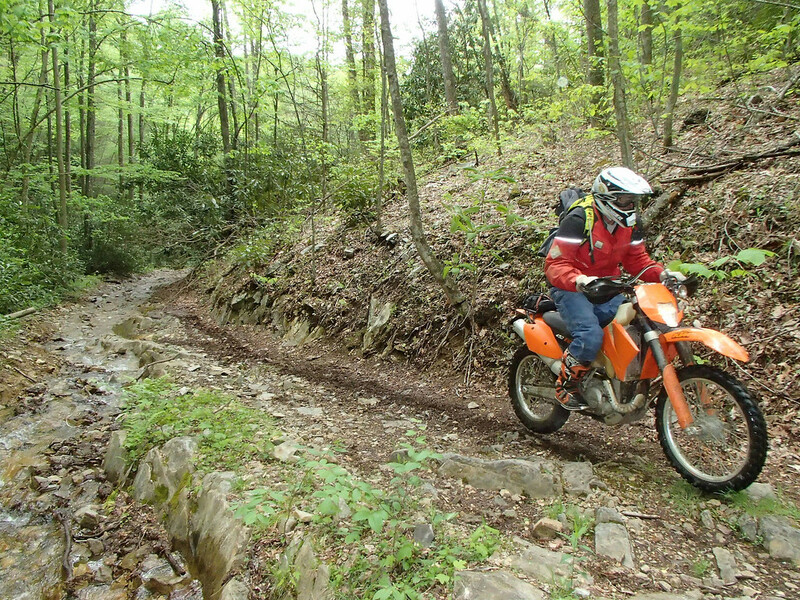 The Eastern Rendezvous is the oldest annual ADV rally, and the only one in the south east. 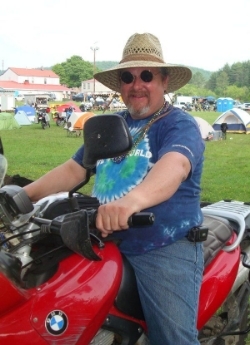 It started in 2002 as a small traveling gathering, and Rick aka Party Boss turned it into an annual event known as the Eastern Rendezvous. Sadly we lost Rick in 2012. Nobody will ever be able to be such a great and inviting host like he was, but we will keep his rally alive in honor of what he started. Camping is allowed anywhere at the resort starting on Thursday (between cabins, in the playground, etc). There is a great area for hammock camping in the playground area). If you arrive Wednesday, the camping is restricted to the upper part and hammock area of the resort. Price for the RDV and camping: $99 + $15 for late registration. Please note: the camping area is for motorcycles and tents only - no cars or trailers please (there is NO trailer or RV camping at the resort). Shared Bunk-cabins for 4 people. The cabins do not come with linens - please bring your own. (a limited amount of linens are available for rent from the resort). Cabin rental starts Thursday - if you plan to arrive on Wednesday, please book your assigned cabin with the resort ahead of time (I recommend to book several weeks in advanced). 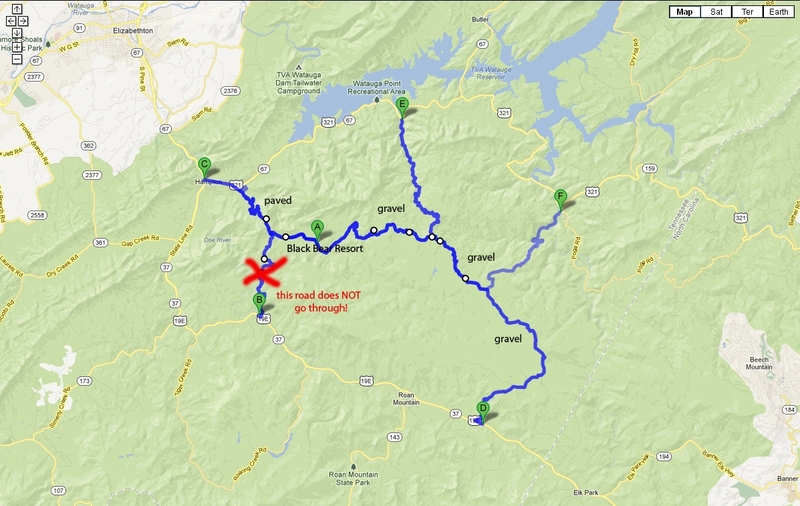 Price for RDV and one bed in a 4 bed Creekside Cabin: $132 (taxes and paypal fee included). Shared bunk-cabins for 4 people with mini-fridge (bigger then Creekside Cabins).The cabins do not come with linens - please bring your own. (a limited amount of linens are available for rent from the resort). Cabin rental starts Thursday - if you plan to arrive on Wednesday, please book your assigned cabin with the resort ahead of time (I recommend to book several weeks in advanced). Price for the RDV and one space in a 4 bed cabin: $144 (taxes and paypal fee included). There is no parking for your car/trailer next to the resort. Parking is available across the street in the neighbors yard or 0.2 miles down the road in a field (both $5/day), you will not be able to spend the night in your trailer or car. We will bring basic tools, compressor, battery charger, tow straps, a pickup truck and ramps etc., plus a basic first aid kit, including braces, splints, bandages, and painkillers. MewZiKat, OU812, GlennR and 2 others like this. pridemore1 ... asylum ............ XXL ..
cuttle ....... hilltop house ..... .
TheBigSnak, jub jub, turkeyman101 and 4 others like this. There are NO official guided rides for Rick's Eastern Rendezvous. We have individuals who go on rides and welcome you to ride along. No part of your attendance registration and fee has anything to do with any rides. All riders are responsible for their own actions. Above all, ride safe. Blur, eap, OU812 and 2 others like this. Same as it ever was.....you'll see me wandering around camp wondering why there's no coffee left and trying to brew another pot or three then I'll be wandering around camp some more getting all jittery and finally decide that I need a shower. After that happens watch for me to start gearing up and rolling my bike down to the camp store at the front entrance, that usually happens around 10:30ish. It won't be long after that any that's brave enough to follow me out on a mix of twisty dirt and little paved back roads will roll on down the road. After a bit of fresh air I'll start to get hungry and we'll stop for lunch then try and find our way back to camp in time to join in for the final laps of the Kermit chair ride before dinner at Black Bear. Standard rules apply, if you forgot what those are I sure hope you have a GPS and we'll see you later! No routes are set in stone....just thinking about possibilities. I honestly don't know for sure where I'll go each day or how far but it usually ends up being around 100 miles give or take and will depend on weather and what kind of a group we have? Here's a spotwalla link that will be active Wed through Sun so you can see where I am or last was recently, for what ever that's worth? MewZiKat, Blur, 1stgenfarmboy and 6 others like this. 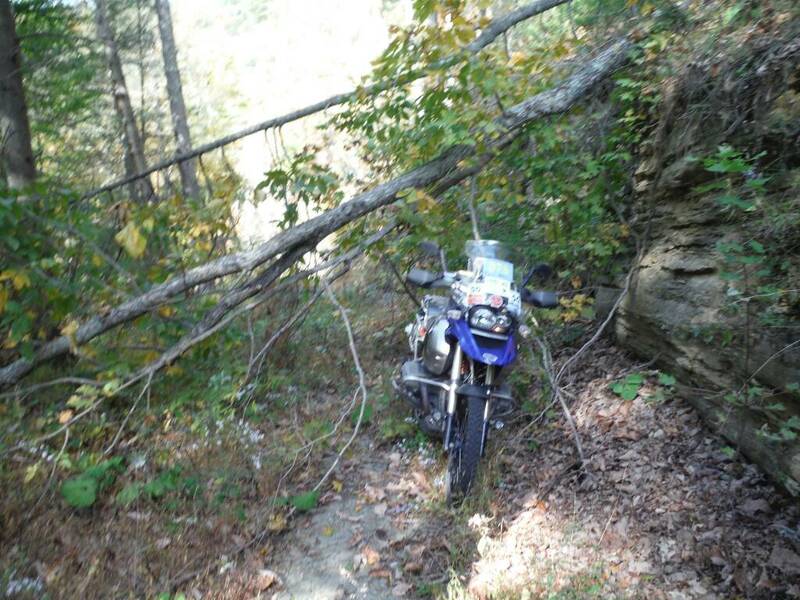 Sorry to bail out on the trail rides, but just not up to it. Decided I need to drink & relax this time. Buildzall and OU812 like this. Small dirt bike with knobby tire rides. Thursday, Friday, Saturday. Assemble at 10:00 down by the bridge. Thursday: Roan Mountain Local Area Tour. This ride won't get too far from the rally area. We'll start off mellow and ramp it up gradually. We can stop for lunch in Roan Mountain. If anyone wants to explore in the afternoon, I know of a few out and back runs. Friday: Stone Mountains. I know just enough about that area to get into trouble. I know just enough about that area to avoid trouble. 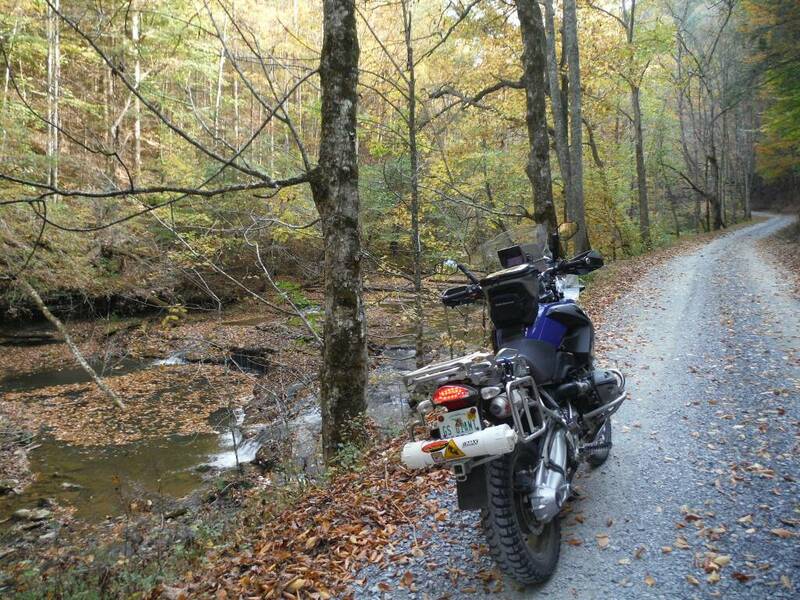 This ride involves a substantial liaison section of gravel and pavement from camp and return. Big day. All of it is epic, including the transfers. 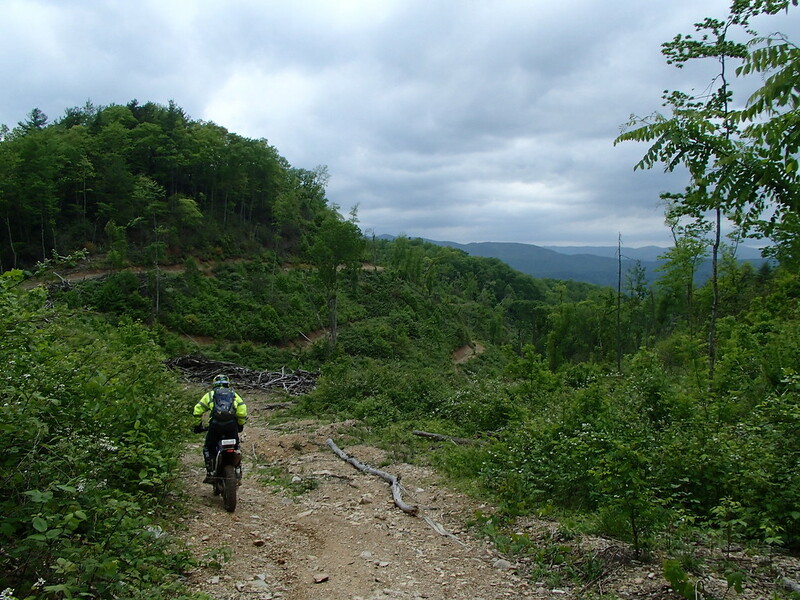 There really isn't anything easy about riding there, and you could be eaten by a bear. Bring some food and water. For the bears. Saturday: Return to Stone Mountains. Hopefully, GlennR will show us what's really up out there. All of this is weather dependent. Let's get everyone back to camp safe ready to stand around the fire. _anatic, trespalacios, GlennR and 2 others like this. Wed. and Thurs. we wing it. Friday and Saturday we'll meet down by the fire around 9:30. Big Bikes, no boxes or trailers on this ride. I'll bring a come-along. I found some new stuff that's doable on a big bike. We may need to bring at least one Husqvarna with us to make it through. AFHans, _anatic, Blur and 4 others like this. Should we bring our own air cast or will one be supplied? Laconic, MewZiKat, OU812 and 2 others like this. Laconic, Boondoggle, sallydog and 1 other person like this. Fe Man I am Iron Moran! wmfleet2, guitarhack, Blue Mule and 11 others like this. Boondoggle, Blur and Cuttle like this. OU812, Cuttle and Boondoggle like this. Blur, OU812 and Cuttle like this. Boondoggle, OU812 and Cuttle like this. Kyle B, ClintG, OU812 and 4 others like this. MewZiKat and Cuttle like this. OU812, MewZiKat and eap like this.